Acoustic Labs Audio Editor 1.5 - Download Win Apps. 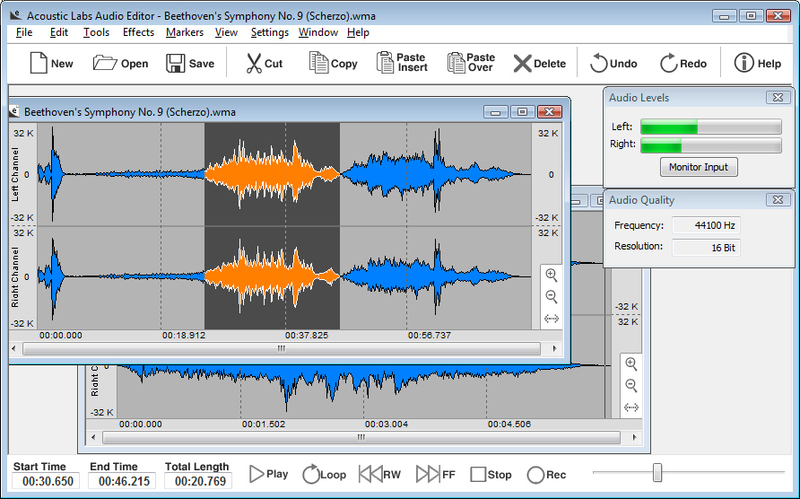 An easy-to-use wave (WAV), MP3, WMA and OGG audio editor, player and recorder.. The ALAE is an easy-to-use, yet powerful, wave (WAV), MP3, WMA, OGG and PCM audio editor, player and recorder allowing users to open, edit, save and record audio files in any of these formats. The capabilities of the Audio Editor are perfect for creating and editing a variety of audio files and audio projects.